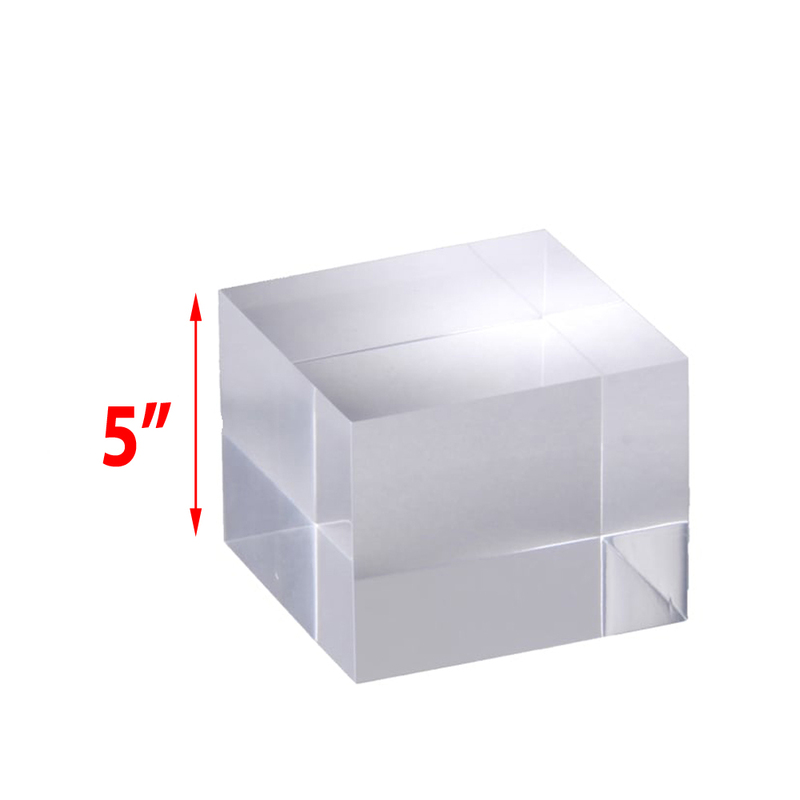 Did you know that solid acrylic blocks is also often called lucite blocks, plexiglass blocks, solid display blocks and even plastic display blocks. 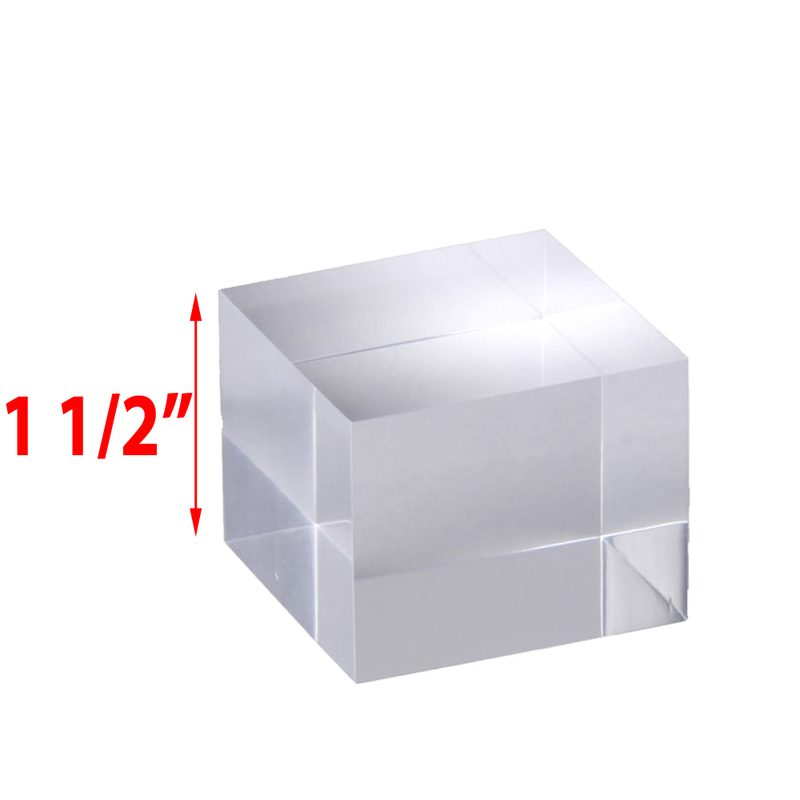 At CCPdisplays.com, we take pride in the number of solid acrylic display block risers we produce. We carry a number of different styles and sizes to choose from all in stock ready to ship. All our acrylic solid blocks are manufactured right here in our factory in the USA. 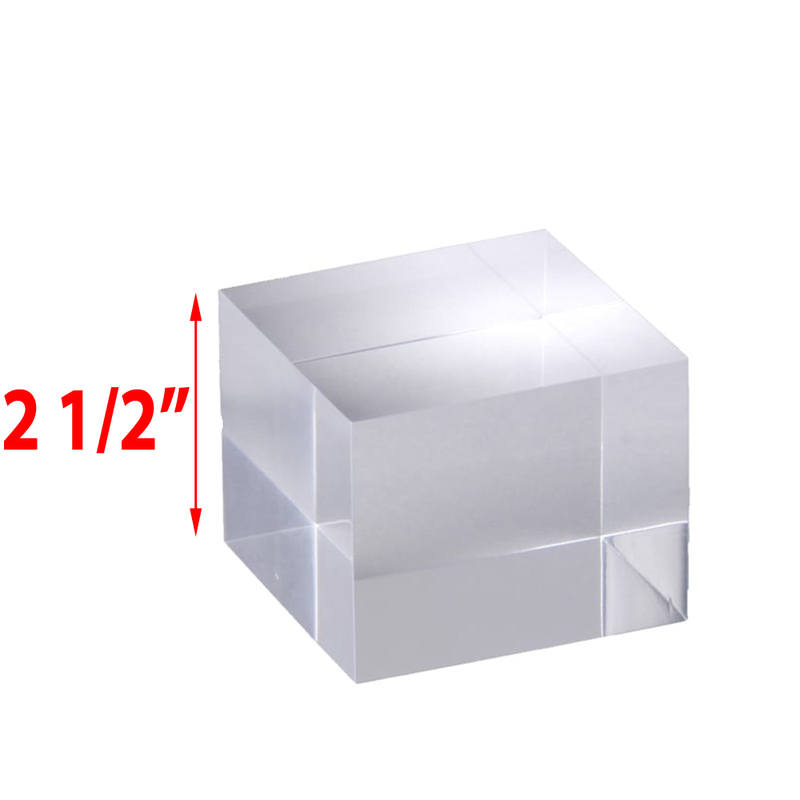 Solid display blocks are a great way for product store displays, jewelry display, and tradeshows. 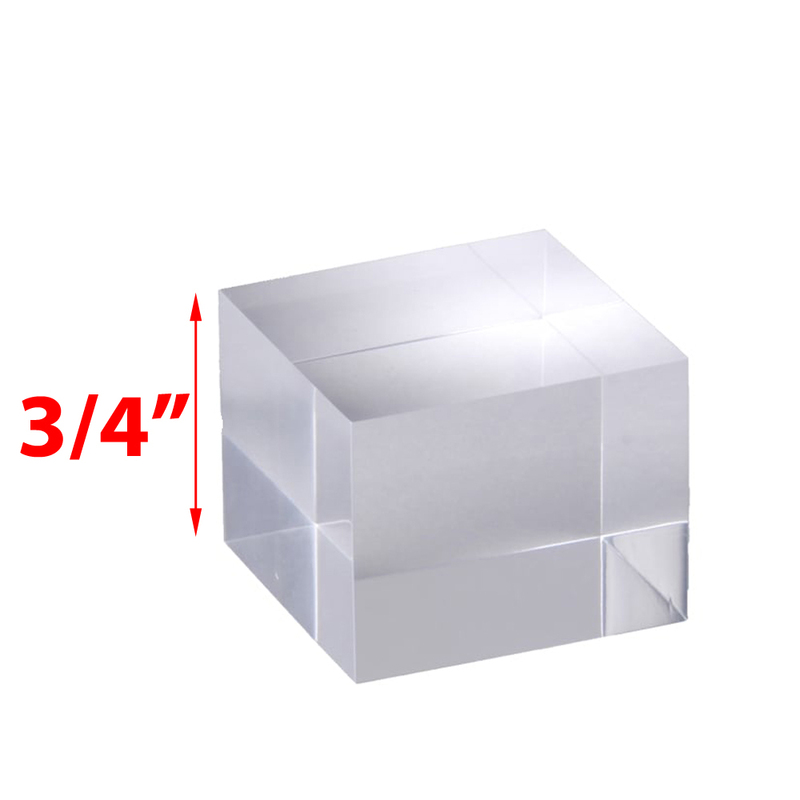 Both our solid acrylic blocks and Beveled Acrylic Blocks are also used in making beautiful acrylic lamp bases. 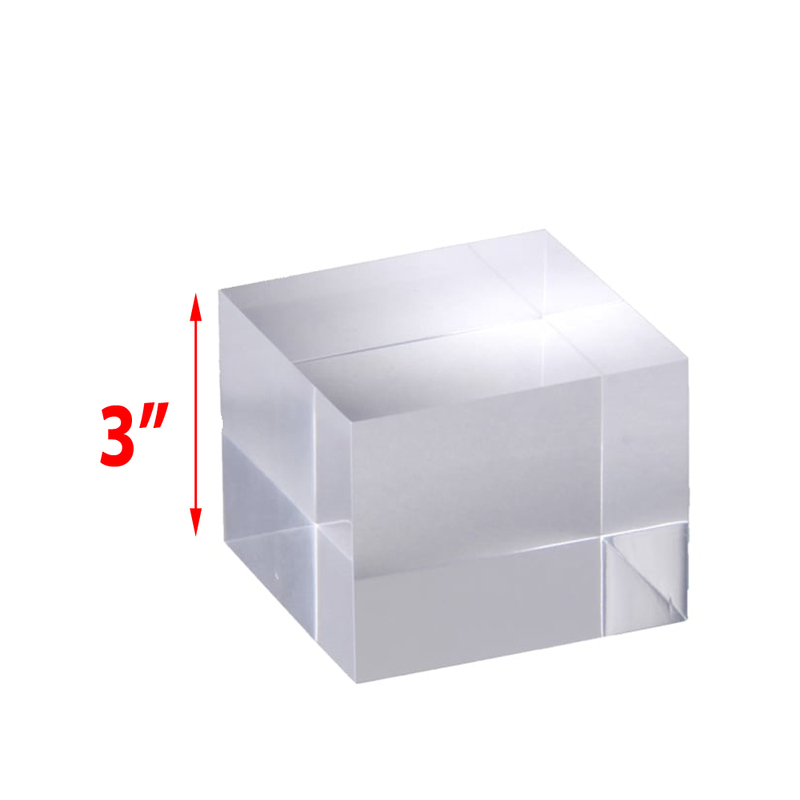 We also carry an assortment of Solid Black Acrylic Blocks that are highly polished and great for showcasing your products in retails stores or elevate a sculpture on a table at home. Need some height - check out our Solid Acrylic Columns. 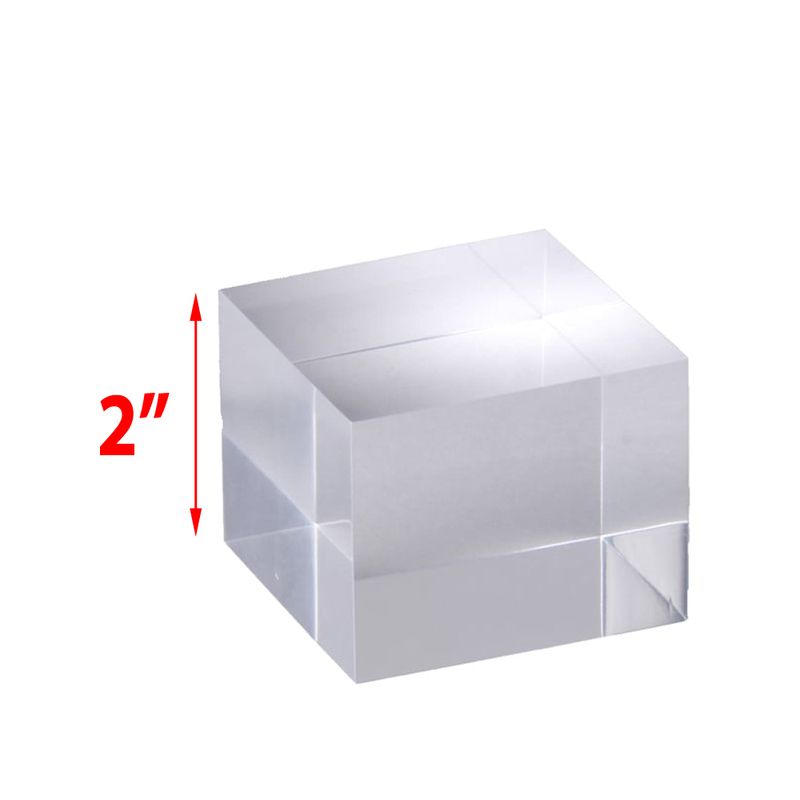 These acrylic display column comes in various diameters and highly polished. All our stock and custom acrylic blocks come highly polished. 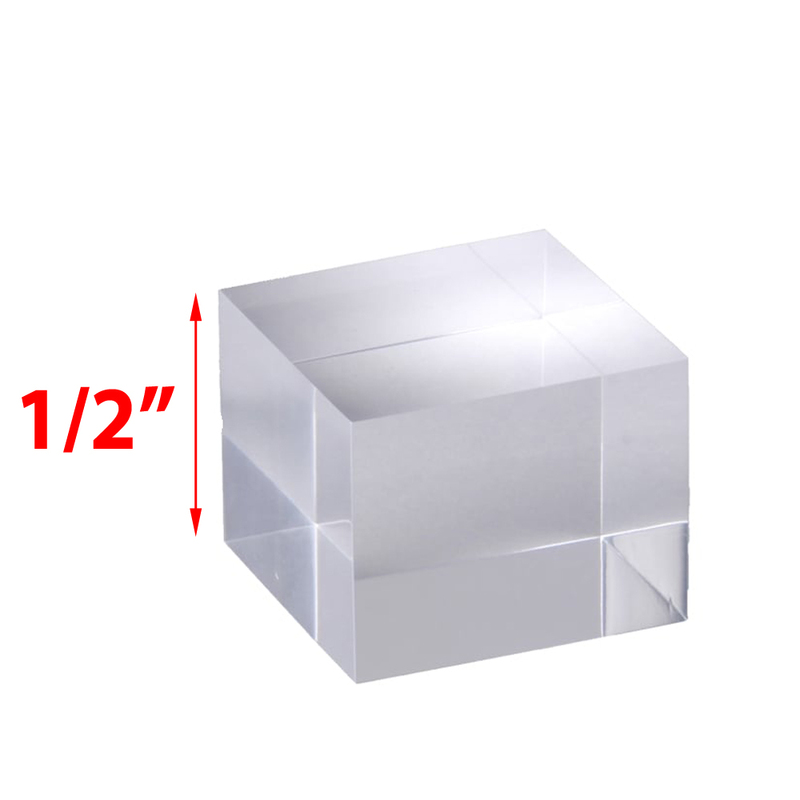 If you do not see the lucite base or acrylic block listed just send us a request. CCPdisplays.com - You Clear Display Choice!